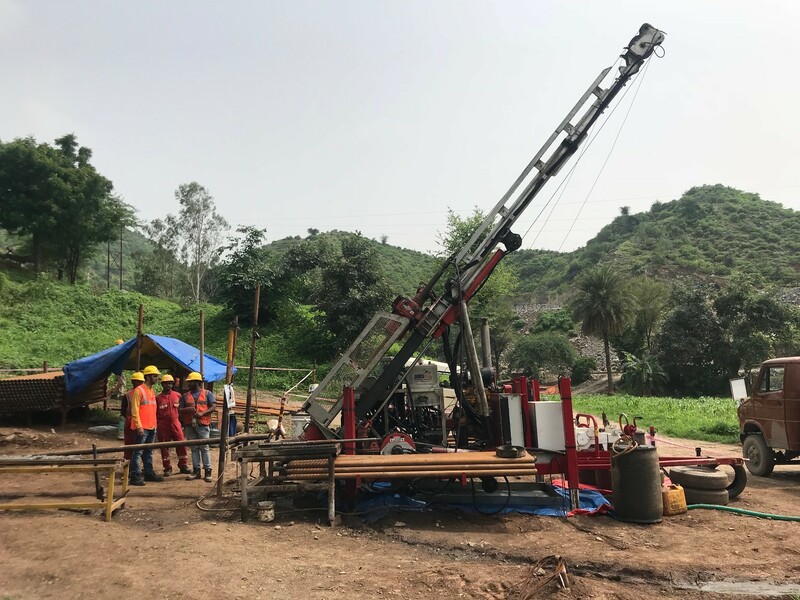 Terra Walker Drilling, led by David Walker, was awarded exploration drilling in 2016 by Vedanta – Hindustan Zinc Ltd in Zawar Mines, Rampura Agucha Mines and Kayad Mines, Central West in the state of Rajasthan (India). 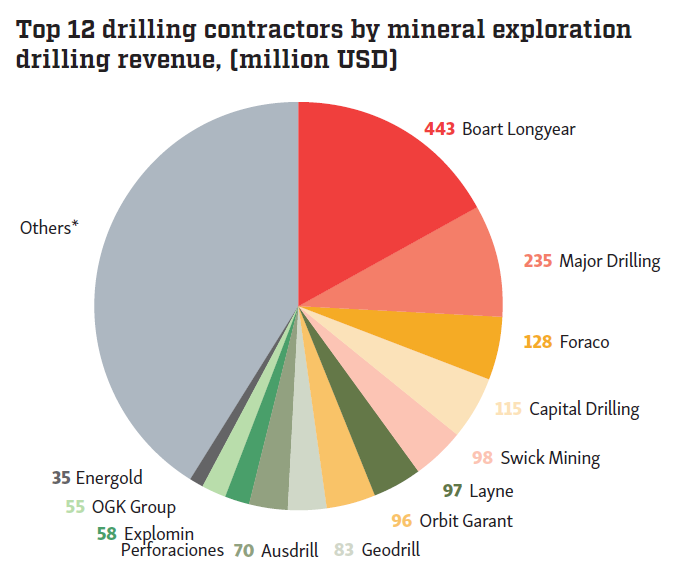 The company started surface exploration drilling at two different underground mines in the area in mid-2016, and is now expanding to underground drilling, looking for shallow – to deep-seated zinc, silver and lead deposits. Terra Walker has mobilized seven state-ofthe- art surface drill rigs for the project. These all-terrain surface drilling rigs have drilling capacities of 600–2500 meters, while the hole depths range from 650 meters to 1800 meters. 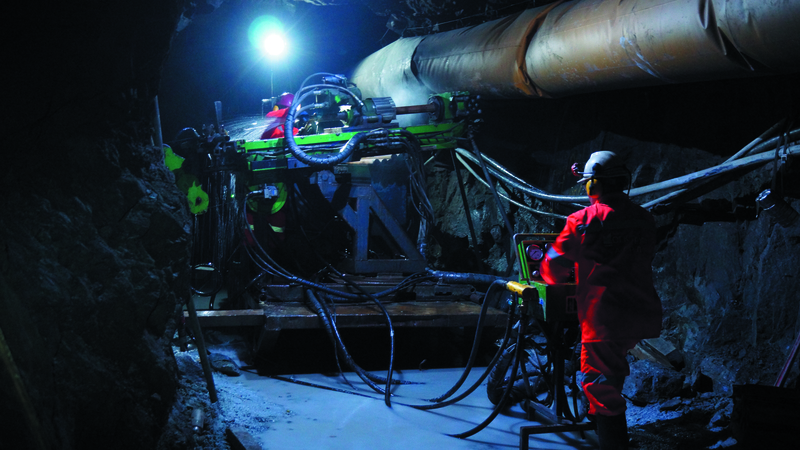 The scope of work required the team to plan drill holes capable of reaching deep targets within 15 m x 15 m spacing. This task and the geological constraints as well as certain drilling difficulties made directional drilling necessary, so steel and retrievable wedges were utilized to execute the program. One of the difficulties was that some of the drill pads were confined, so we are drilling three separate legs off of the mother hole. The targets are deep and small, so borehole accuracy is critical. We have our own in-house geologists who monitor this activity continuously. 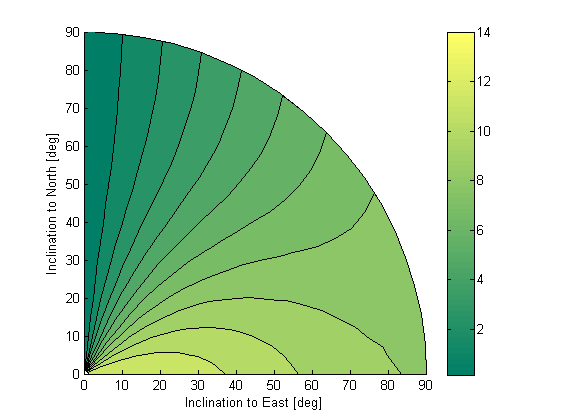 Another challenge was that we had to drill a few drill holes with very precise trajectories. 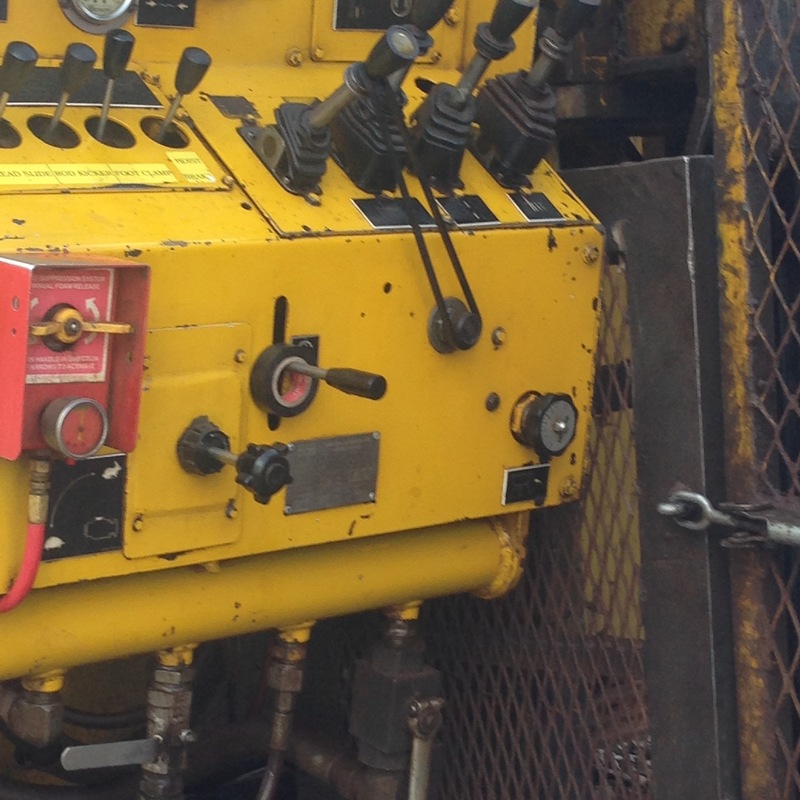 At this point, Terra Walker contacted International Directional Services (IDS) for advice on a suitable downhole steerable motor that could complete the drill holes and hired them as the directional drilling supplier. Directional drilling has helped intersect these targets in tough geological conditions (vertically, highly fractured rock), with well-defined natural deviation. 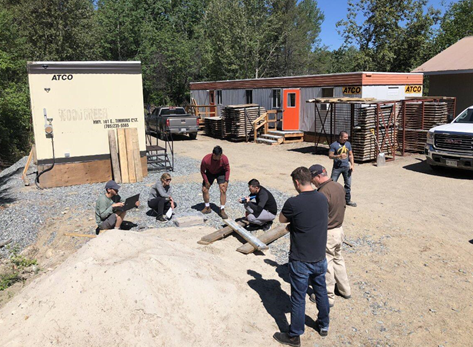 During the more complicated directional tasks IDS supported Terra Walker by providing training on the hole planning and operational set-up and supporting the maintenance of their downhole motors. An IDS representative spent time out in the field ensuring that the Terra Walker crew understood the plan and he cleared up any operational concerns. The support provided by IDS extended to help with preparing an operating manual for the crew detailing the best and easiest methods for using a downhole motor. 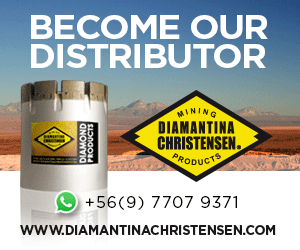 We are now running the downhole motor from a depth of around 350 meters up to 750 meters with an average correction of 35–70 meters per run (inclusive of correction). We are planning some critical corrections in the near future to save on measured-depth drilling to achieve competitive corehole completions. The future holds a multiple years-long program of multilateral holes, up to three from the mother hole. 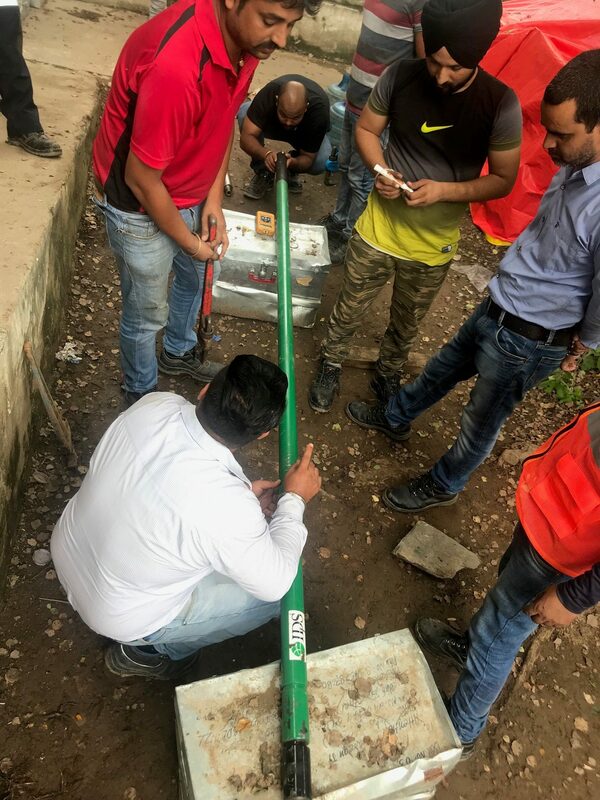 We have organized all the equipment and accessories necessary to take up the challenge and are confident that our team will successfully fulfil the job’s requirement and complete the coreholes as per plan. probably be extended – there are plans to keep two rigs engaged for running the downhole motors. The client has plans for more aggressive exploration and Terrа Walker is hopeful that they will increase their directional fleet with another set very soon. 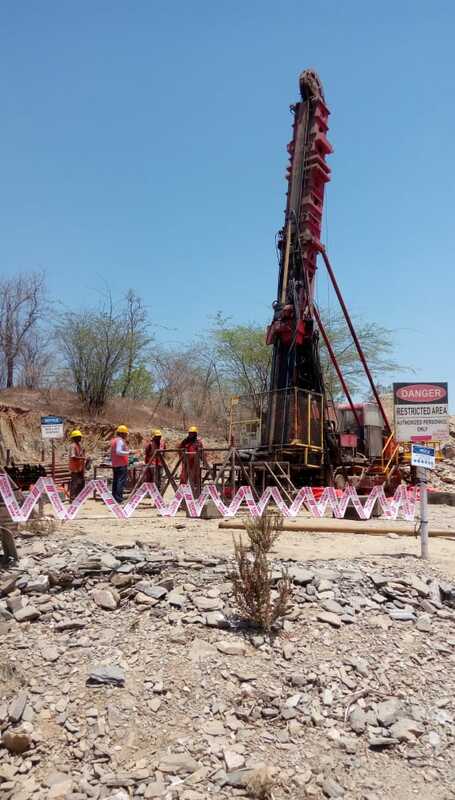 Additional rigs are currently being deployed as TWD has been awarded an underground contract at another Vedanta-HZL property, Rampura Agucha Mines. 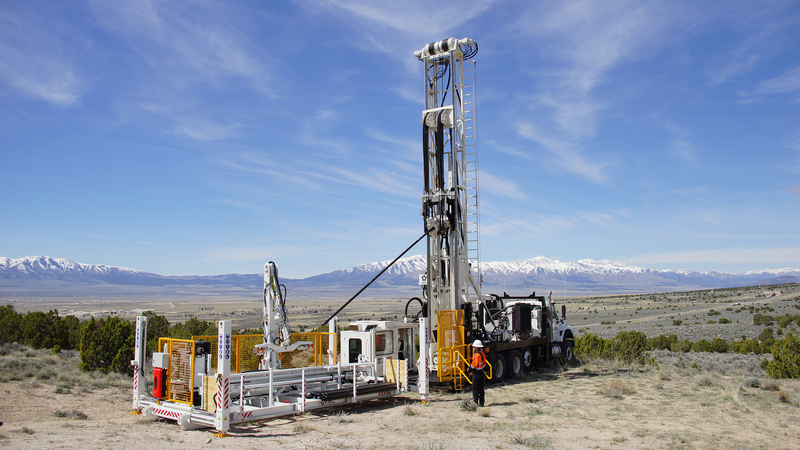 Terra Walker Drilling plans to use all the latest technologies like downhole motors, core orientation, TN14 Gyro and continuous monitoring by Multishot Survey Tools. The company has established the best safety practices in India, which combined with its deep knowledge and expertise, achieve the best results possible. David R. Walker, Managing Director of Terra Walker Drilling, has extensive experience in the drilling industry, with over 25 years in the business. 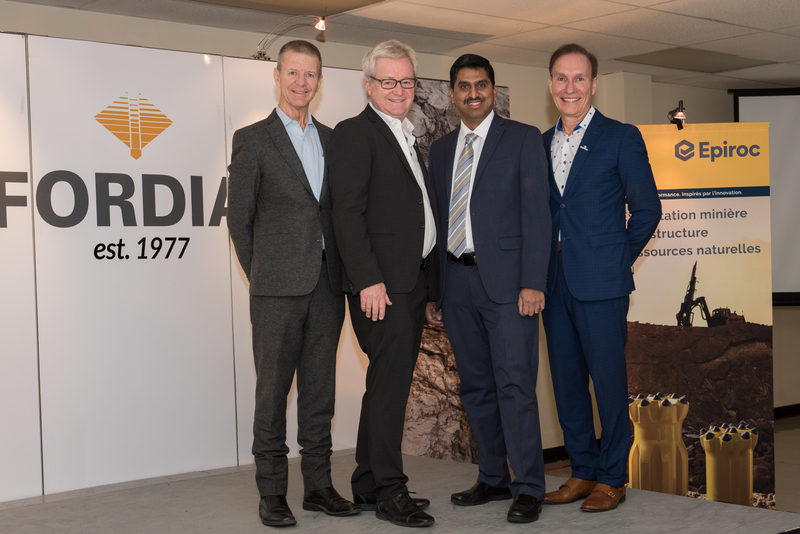 He is the founder and President of Walker Drilling in Canada and under his able guidance, Walker Drilling has developed a strong value-based international clientele. 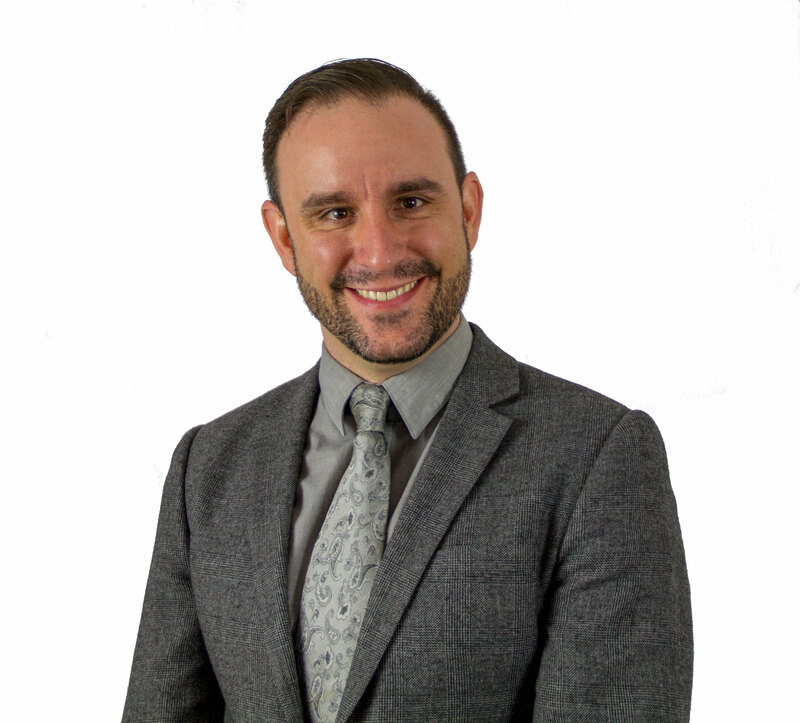 A visionary in his field, David believes in setting the highest standards and developing best practices. 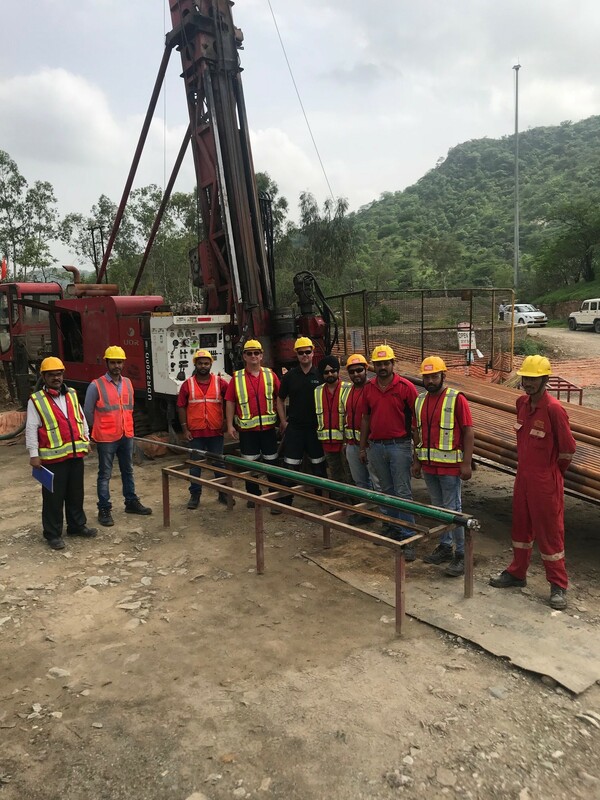 He is committed to capacity building and skill development in his personnel, and envisions that Terra Walker Drilling will soon emerge as a game modifier in the drilling industry.